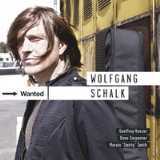 With full hollow-bodied goodness, guitarist Wolfgang Schalk delivers his most heartfelt recording to date with Wanted. 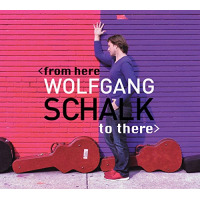 Recorded in Los Angeles, Schalk not only switched locations from his bi-coastal residencies in New York but also sports a new quartet with veteran aces Geoffrey Keezer (piano), Marvin "Smitty" Smith (drums) and bassist Dave Carpenter, who sadly passed away in June 2008. Schalk has recorded a number of noteworthy recordings including 2005's Space Messengers (Universal Music Group). He continues to refine a sound that is not only well informed of Wes Montgomery modalities, but also possesses its own post bop ideas as heard in the attractive Latin-tinged ballad "A New Something" (with impeccable acoustic guitar) and the inflammable groove "A Hip Bop." Never underestimating the power of swing, the quartet gives a clinic on its finer pointssyncopation, symbiotic communication and soulful empathy. This is evidenced on the knotted tempo of the title song and "W 46" (a fitting dedication to Wes Montgomery) as Schalk's chorded runs and single note solos are equaled in intensity by Keezer's lightning keys, only to be mirrored in spots by Smitty's quick cymbal taps and Carpenter's walking bass. To say that the band is tight would be an understatement. 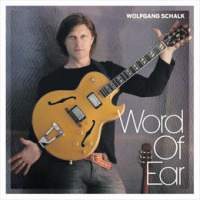 There's also moving balladry as heard on the emotive "And Harry Said Goodbye," dedicated to another Schalk influence, European guitar master, Harry Pepl. His tonality and phrasing on this piece is delicate and warm while Carpenter provides a wonderful deep solo that proved a mastery that will surely be missed. The recording ends with "Last Minute," an uplifting number that swings with elegance and sparkling musicianship from everyone. Track Listing: Wanted; A New Something; Monroe Street; W 46 (for Wes Montgomery); What Makes Me Think; A Hip Bop; And Harry Said Goodbye (for Harry Pepl); Last Minute. 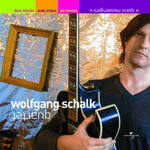 Personnel: Wolfgang Schalk: guitars; Geoffrey Keezer: piano; Dave Carpenter: bass; Marvin "Smitty" Smith: drums.